Planning a graduation party? 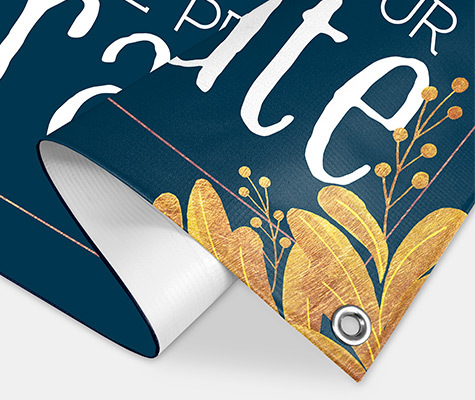 Don’t forget a vinyl banner from the Graduation Vinyl Banner collection! Each banner is printed on durable vinyl suitable for indoor/outdoor use and comes in three sizes to fit your decorating needs. This collection boasts a variety of stylish designs to choose from to enhance your party décor. 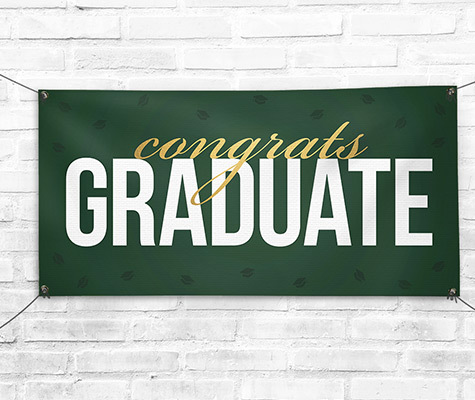 Our Graduation Vinyl Banners are made from durable vinyl for use indoors or out and are printed using fade resistant UV inks. These banners feature heat welded seams for extra durability and come ready to hang right out of the box. Available in three sizes with a variety of designs made to impress. Mix and match with our other Graduation Design products to create a cohesive look for your party.